In Windows, we use the command-line program ipconfig to find out our IP address. 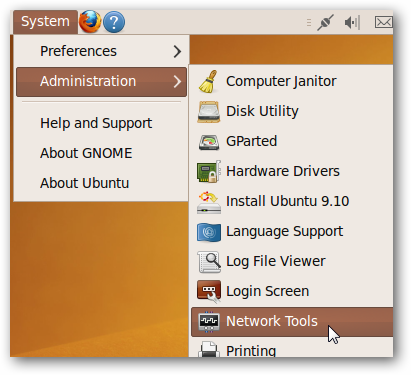 How do you find it in Ubuntu? We will show you two locations easily accessible through the GUI and, of course, a terminal command that will get your IP address in no time. 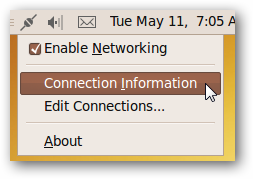 The first location, and the easiest in most cases, is found by right clicking the network icon in the notification area and clicking Connection Information. 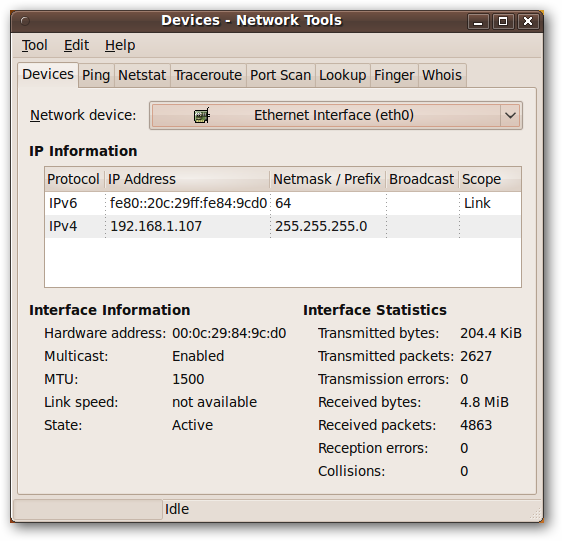 This brings up a window which has a bunch of information, including your IP address. 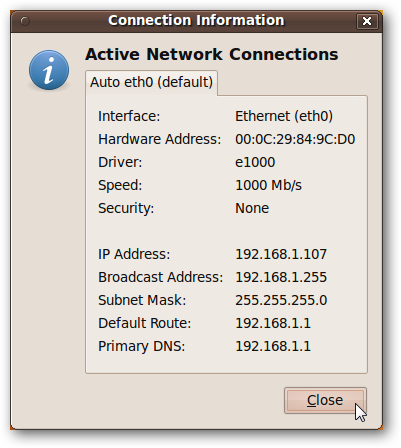 The second location, which shows you more detail than this first method, is at System > Administration > Network Tools. Select the right network device, and you’ve got a ton of information at your fingertips. Yes, it’s only one character different than ipconfig. Who would have guessed? 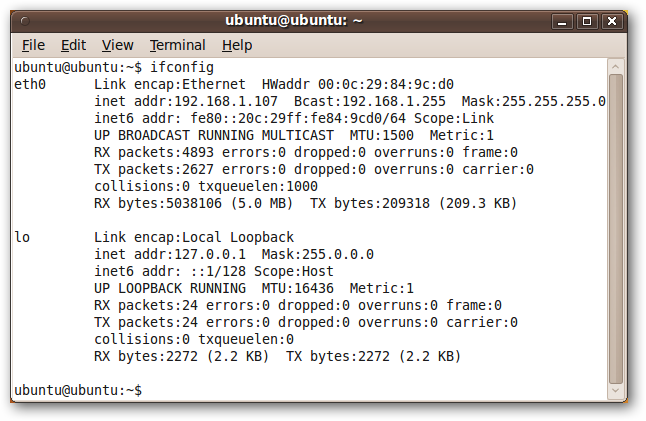 As it turns out, you’re always a few clicks or keystrokes away from finding your IP address in Ubuntu. Isn’t choice great?